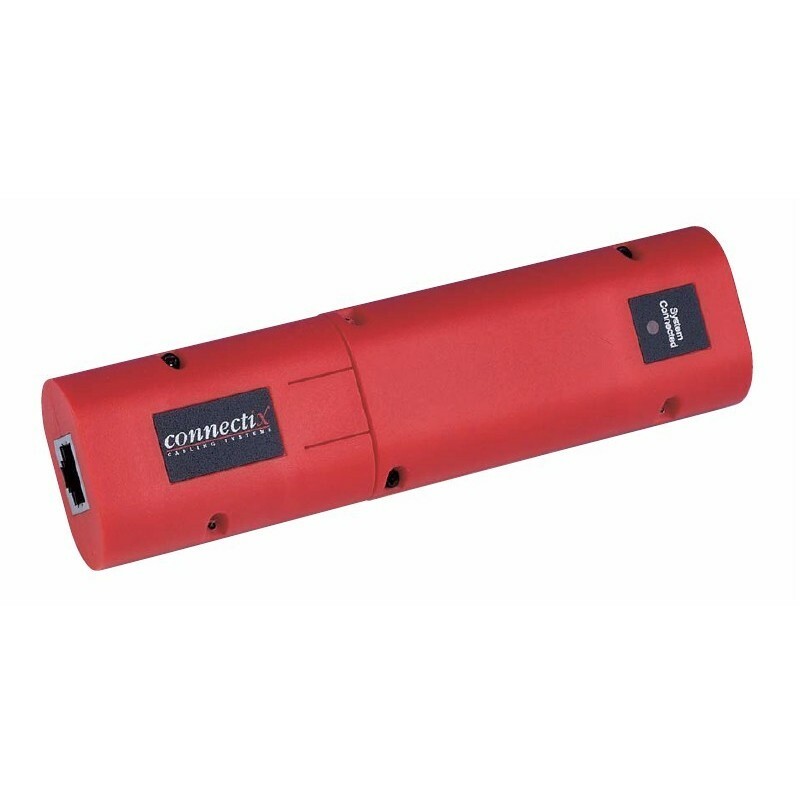 The Connectix Pocket Socket Tester is a quick, easy to use tool to verify connectivity. Its unique snap-together design makes it easy to take on-site. The tester gives an instant indication of the connections present, because its four bi-colour LEDs indicate the status of the pairs in the cabling. A separate indicator also shows the shield connection for shielded systems. The circuitry has been specially designed to identify crossover patch cords. But the tester is equally suited to check a single patch cord or a complete channel.